Bunker shots don’t have to be scary. Most amateurs shake in their boots when they step into a sand trap because they haven’t practiced bunker shots like they have drives and putts. Once you know the proper technique and you’ve trained that technique at the range countless times, you should have no problem with the real thing. However, amateur golfers don’t tend to practice their bunker play because they think it’s boring. In this lesson, we teach you a fun and challenging drill you can incorporate into your training routine to make the exercise of practicing bunker shots more interesting and up your proficiency in the traps. As with all other intimidating golf trouble shots, bunker shots are a matter of muscle memory and commitment. If you’ve practiced over and over and trust in your ability to get out of the trap and back on track, then that’s exactly what you’ll do. 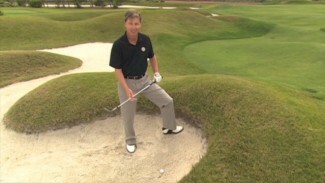 To help you improve your sand play quickly without the process becoming monotonous, PGA Professional Ali Jean Wells introduces a simple drill that makes escaping bunkers feel like a day at the beach. To complete Ali’s drill, you’ll need to set up five stations in your favorite trap. 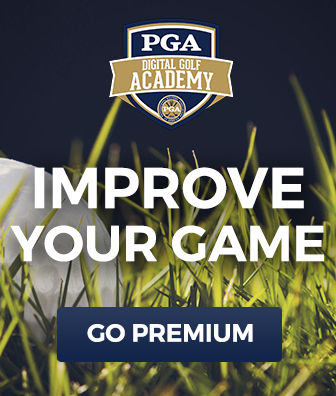 Each station is a progression geared toward honing your technique. Ali shows you how to start without a ball, then an elevated ball, a slightly less elevated ball, a ball with a target, and a ball settled flat in the sand. The goal is to use your club to scoop sand up and out of the bunker, catching the ball along the way and throwing it onto the green. 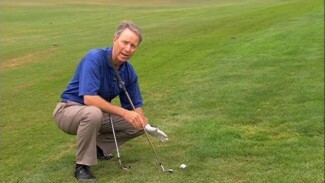 Take advantage of Ali’s advice for better trap technique and add this drill to your practice sessions and you’ll learn how to hit bunker shots like a pro, stepping up to those bunker shots with unbridled confidence (and maybe even a little excitement)!